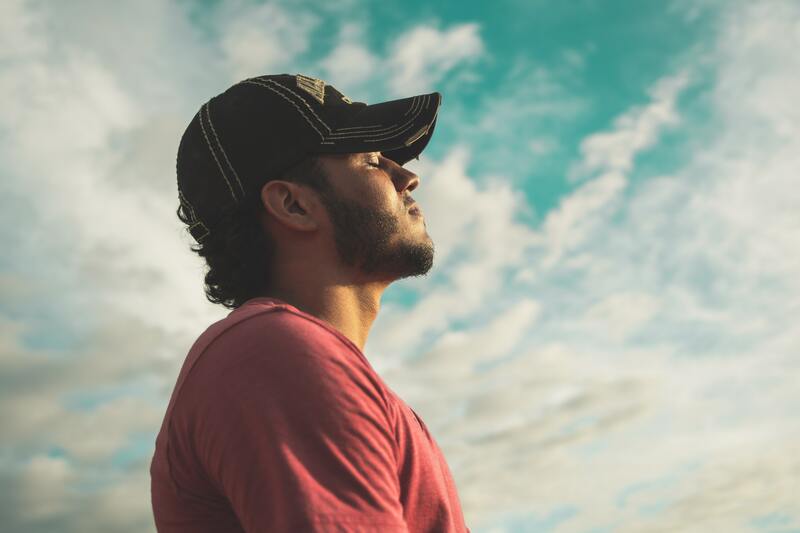 Diaphragmatic breathing exercises can help you destress and improve your health. Take a few seconds to pay attention to your breath. Are you using your neck muscles to inhale? Are you breathing through your mouth? The breath can determine influence the state of our central nervous system and, believe it or not, it is likely that you’re breathing inefficiently. I always tell my clients that breathing and respiration are two different things: respiration is an automatic process, while breathing can change based on your emotional state or your activities. Effectively, when you are stressed, you breathe differently than you do when you’re relaxed. Although many muscles are recruited to breathe, the primary muscles are the diaphragm (which is a mushroom shaped muscle underneath the rib cage) and the intercostals (which are interspersed between the ribs). If someone is feeling stressed, however, he may prioritize using accessory muscles to breathe like the pecs in the chest or the scalenes in the neck. Chest breathing facilitates a stress response, while belly breathing calms the body. Stress forces your body to rely on what’s called the sympathetic nervous system (commonly referred to as “fight or flight”). In the sympathetic nervous system, you rely more on the muscles in your neck and chest to breathe as opposed to the muscles in the abdomen. The optimal state, which facilitates recovery, is the parasympathetic nervous system. While in the parasympathetic nervous system, your heart rate slows down and your diaphragm is the primary breathing muscle. 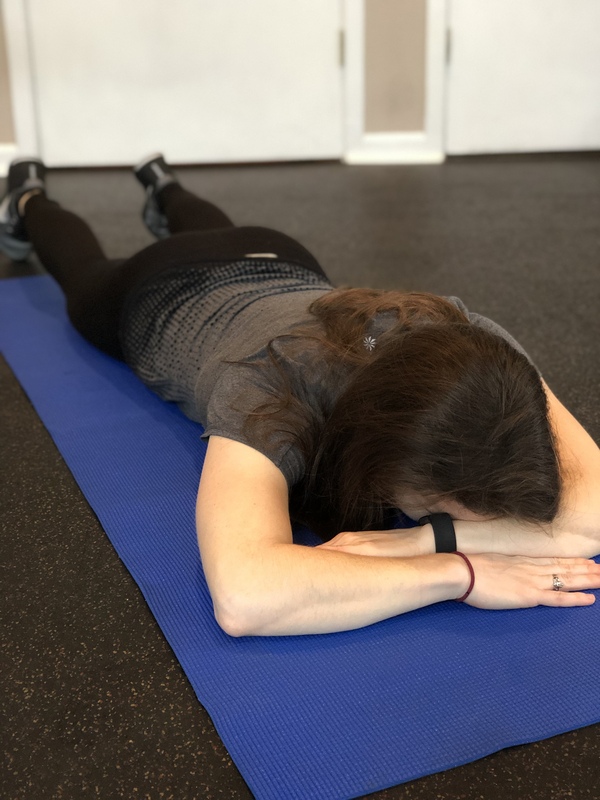 The following exercises will help your body shift into the “rest and digest” and help you relax when you’re feeling exhausted after a long day. Crocodile Breathing This exercise is my personal favorite. This drill is performed facing down, with the head supported on top of the arms. 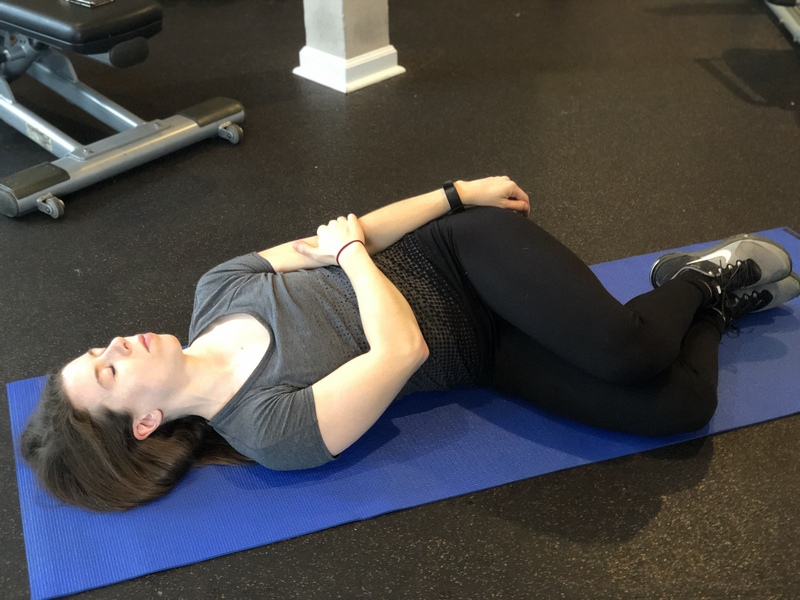 The client should inhale through the nose, focusing on pressing the belly against the floor and breathing into the lower back. I am looking for 360-degree expansion of the rib cage here. Many individuals initially breathe from front to back quite easily but struggle to expand the lateral portions of their ribs. This drill is wonderful because it doesn’t require any fancy gym equipment and it is also incredibly relaxing. I prefer to do crocodile breathing after a tough workout or before bed to help me bring my heart rate down and help me clear my head. Weighted Breathing Another drill that I’ve had success with requires a little bit of weight. This time, you will be on your back. You will place your feet against the wall and your knees should form a right angle. You either want to put a light weight (<10 pounds) on your belly, or have a partner place their hands there with slight resistance. The goal is to inhale while consciously pushing against the weight as a tactile cue. I like to lightly put my hands on the sides of their rib cage as well to give them a reminder to get that lateral expansion. Again, you want to inhale through the nose deeply, with a complete exhale. Exhale past the point of where you normally would, really trying to empty your lungs. Side-lying Breathing The final drill that I like is performed on your side with your knees bent. You will reach one arm across your body and place that hand on your opposite elbow. First, your head will be looking directly up at the ceiling. Take some nice, deep breaths in through your nose. Your ribs should be pressing up against your arms. Then, turn your head to the right and repeat. Finally, turn your head to the left and take a few more breaths. Just Breathe! 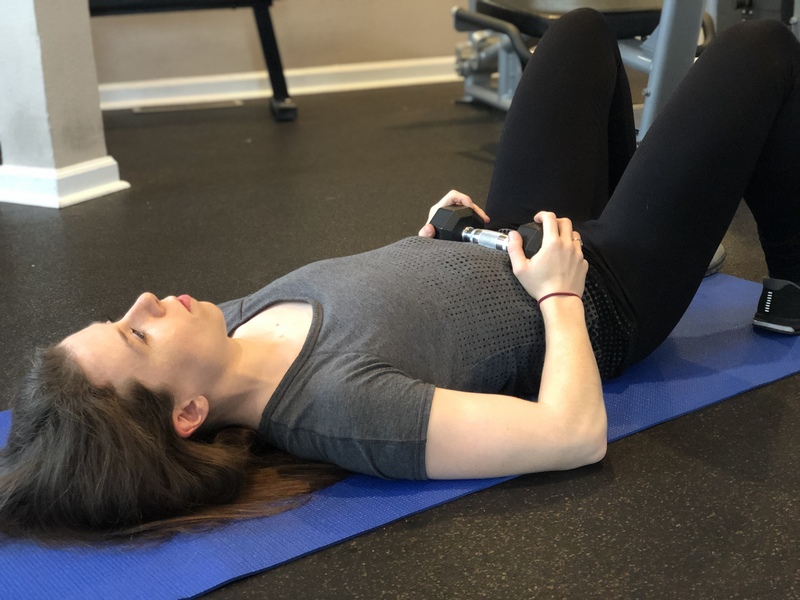 You can choose whichever one of these drills allows you to best connect to your diaphragm muscle. If one of these exercises is more relaxing for you than the others, go with that one! I prefer to do these exercises after a tough workout or before bed, but you can do them as needed. Give yourself at least 3-4 minutes in one of these poses on a daily basis. It will be nice for you to spend some time clearing your mind, away from all social media and distractions. Arianna is the President and Co-Founder of LifeSynq, a corporate wellness organization located in the San Fransisco Bay area. She is also a strength and conditioning coach and personal trainer who specializes in assessing movement. She is passionate about understanding why people experience pain throughout the body and seeks to help them overcome their chronic injuries and ailments. Arianna has a Master's in Exercise Science and has trained hundreds of clients ranging from young children to professional athletes to elderly populations with Alzheimer's Disease. Arianna is also a published author and has contributed to popular fitness websites such as T-Nation and Muscle & Strength as well as her own personal blog. Her approach to fitness is based on a combination of scientific-based principles and on her own practical experience with clients.